All-Safe Home Inspection performs a unique and valuable service for prospective home buyers, homeowners, commercial and residential property managers, homeowners associations, custom home builders, and Real Estate Agents. We have no financial interest in the properties that we inspect. 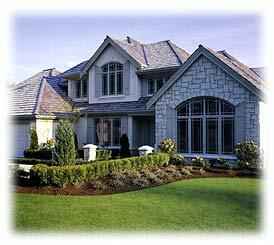 We inspect a your property with an unbiased eye. Our responsibility is to our client. All-Safe Home Inspection is a privately owned, independent, inspection and testing company. We provide Pest inspection, Mold, Radon, Septic testing services and have no financial interest in any company that performs these services. Our responsibility is to you, our clients. You should expect no less than full professionalism: education, competence, knowledge, and courtesy from All-Safe Home Inspection. We've included a wealth of information which will help you better understand the ins and outs of the wide range of the inspection and testing services that we provide, and we hope this information will be useful to you. If you have any questions please contact us at 610-262-3009. Below you will find a brief explanation of our services. For additional information visit the "Our Services" page of this website. Termite and wood destroying insects, if not detected and treated in a timely manner, can cause heartbreaking damage to a home. Also	many banks and lenders will require a Wood Destroying Insect Inspection for a mortgage. Our septic evaluation includes inspection of treatment tanks and their baffles, any dosing or pumping tanks and their components, and evaluation of the seepage bed, by manual probing, to determine its ability to efficiently cycle affluent back into the environment. Our evaluation is to determine if the system is satisfactory or if a septic service provider needs to perform additional investigation or repairs/replacement. The water company must test its water by state mandate to assure that it is safe to drink. If you have a well, it is your responsibility to	assure that the water is safe to drink (potable). Contact us for testing for bacteria, chemicals, lead, volatile organic compounds, and inorganic compounds. "For Complete Peace of Mind"